Though it’s still not clear whether these turtles are mutants, aliens or robots in disguise one thing is for sure, they look pretty different from the animated versions fans know and love. The first thing that comes to mind when looking at the picture is that these turtles look pretty tough, but are they the right kind of tough. When you imagine a ninja, is hunched over and muscular what you see? No, these versions look more like pro-wrestlers than skilled, stealthy ninjas. The main problem about the look isn’t really that it shows the wrong type of fighter, that’s a little too picky, but they look creepy to the point were the villains they fight might end up looking more friendly and approachable than they do. 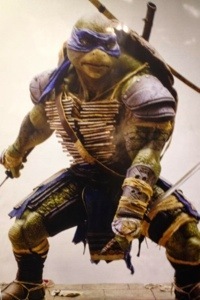 The visual roughness makes it seem like all of the humour that defined the characters, and showed each turtles unique personality, will be missing from the film. Once you take that away, what’s left to remind people that this isn’t an entirely new property? The fact that they’re turtles seems to be the only uncontested part of the story. Plus, Megan Fox is playing April O’Neal so the film already has that going against it. What do you think? Are you a fan of TMNT? Do you like the new look? 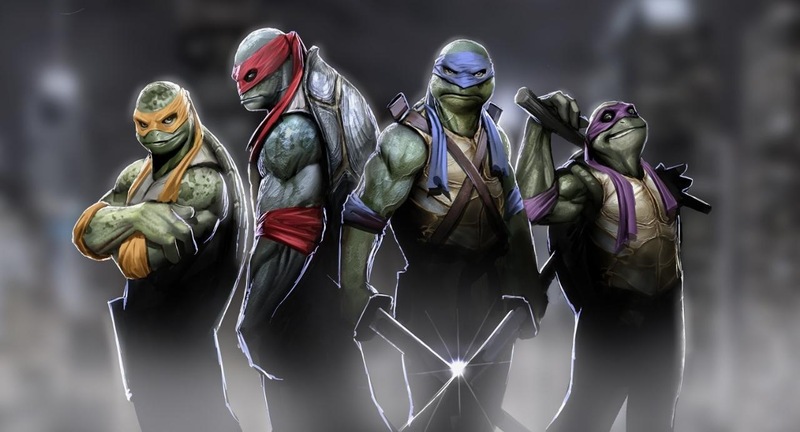 Is this the mutant turtle movie that you’ve always wanted to see? Leave your thoughts in the comments below. This entry was posted on January 30, 2014 by adamodwyer1. It was filed under Adventure and was tagged with first, mutant, ninja, photo, picture, teenage, tmnt, turtle.